Milly Weaver is the editor at Wundor Editions, a London-based small press with an interesting, eclectic catalogue of novels, novellas, and poetry collections — not to mention travel guides that have a real artistic flair. 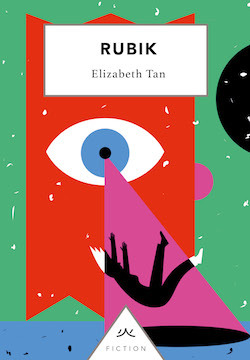 Last year, Wundor acquired the rights to publish Elizabeth Tan’s Rubik in the UK, following its initial publication by Brio Books in Australia, and Milly was the editor behind the initiative to bring the novel to British readers. In reviewing Rubik for Splice, Anna MacDonald called it “a puzzle that is endlessly formful and formless”, an “imaginative novel” that “slips between genres, borrowing from the conventions of fan fiction, speculative fiction, and surrealism. 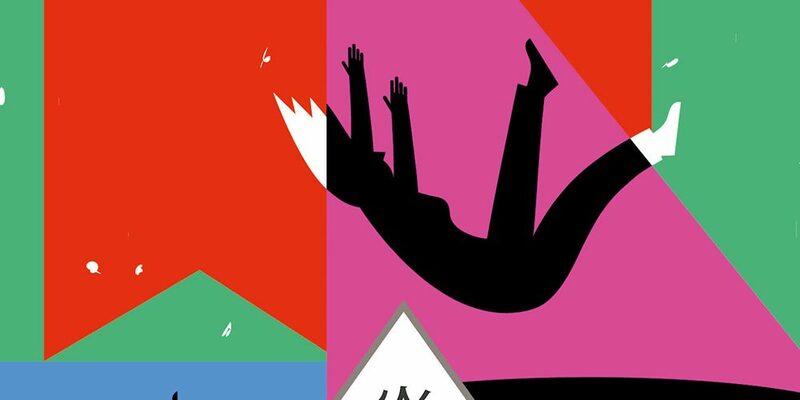 Indebted as much to film, social media, online fora and advertising as it is to literature, Rubik is perpetually shifting shape” — which makes it a good fit for the adventurous catalogue of fiction titles at Wundor Editions. Earlier this month, Milly Weaver was generous enough to engage via email with Daniel Davis Wood, to discuss the appeal of Rubik and its place in Wundor Editions’ expanding catalogue. It’s unusual for a small press publication from Australia to be picked up by a British publisher. So much of the output of Australian small presses just doesn’t show up on the radar over here, or gets drowned out by other noise. How did Rubik first come to your attention? Rubik has received some fantastic reviews over in Australia, and Brio Books has such an interesting catalogue. I’m always keeping an eye on what our equivalent independent publishers are interested in, but it was Rubik’s unusualness that struck me. It’s formally experimental and it also does something very innovative with genre. Following magical realism or hysterical realism, Tan has created a new genre of cyber realism, a literary form that reflects how internet technology and the virtual world determine our social reality. Can you elaborate on the role that the early reviews played in piquing your interest in Rubik? I think that the first one I read was Justine Hyde’s review for the Newtown Review of Books, but it was more that a series of reviews made me feel that there was some buzz around the book. Certain words and phrases that kept cropping up — ‘experimental’, ‘contemporary’, ‘technology’, ‘neoliberalism’ — piqued my interest, as did comparisons to A Visit from the Goon Squad (which I love). When exploring possible books to pick up from overseas presses, reviews certainly play a role in directing my attention towards a book, but I don’t let them sway my opinion. They can intrigue, and make me pick up a copy in the first place, but if a blurb alone is enough to do this, or if someone gives me a personal recommendation, then all the better! And what was it about the book itself that particularly struck a chord with you? Beyond simply being unusual, what made you feel the impulse to publish Rubik and seek to expand its readership? Above all, Rubik’s timeliness struck a chord. The novel offers a prescient exploration into the feelings of loneliness and technological anxiety that come with living in our hyper-networked Internet age, which I thought would really resonate with contemporary readers. Rubik embarks upon an insightful and often bleak depiction of life under neoliberalism, while still managing to be generous, accessible. On the one hand you’ve got a biting satire of vacuous, consumer-driven and technology-obsessed contemporary society, and on the other hand it’s a full-hearted adventure story. It’s not easy to achieve such equilibrium between social commentary and straightforward entertainment in a single work; Rubik strikes the balance perfectly. The Australian version of Rubik was sold as a “novel-in-stories”, but the American version casts aside the word “novel” and refers to it as a collection of “interconnected” stories. What are your views on the form of book? How do you see its parts interacting? I think it could be argued persuasively either way. You can read the individual chapters as standalone short stories. Or could you read them in a different order to how they currently stand. This would produce a very different, but just as wonderful, work. That’s one of the things that I really like about Rubik — it’s up to the reader to navigate his or her own way through the work, to track down clues and form connections, mirroring the experience of the characters. Even though Rubik doesn’t resemble a novel as you might traditionally define it, I like the idea that it represents an updated version of the novel form appropriate to the twenty-first century, in which scrolling, hyperlinks, and fake news determine how we absorb information, rather than rigid chronologies or a firm sense of the truth. Is there a specific part or section of the book that you’d say is your favourite? More than anything, it’s the small startling and bizarre details that attracted me to the book. I love the humour and the quirkiness, and its wonderfully imaginative collection of characters, tropes, and objects: an enigmatic cat, time-travelling corneas, a cast of children dressed as fruit, viral memes, anime characters, incredibly sinister multinational corporations. How many other novels that you’ve read name a chapter after a ‘multipurpose octopus’? 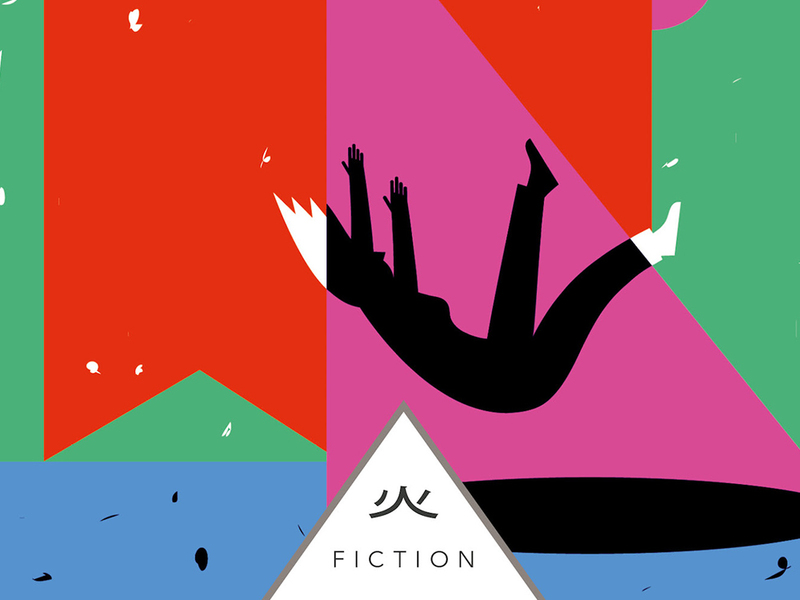 Through Wundor Editions, Rubik is taking a place in an interesting fiction catalogue. Excluding Rubik, the catalogue features only four prose works so far, although stylistically they’re quite an eclectic bunch. It also features the work of only one British writer — Matthew Smith — while the other three titles are by Americans, and all of them are by men. At first glance, then, Rubik looks like something of an outlier. How does it fit in with your other books? Do you see it as somehow helping to shape a Wundor Editions profile or ‘vibe’, when it comes to fiction? In building our list, we’re looking for originality and beautiful, compelling writing. From there, anything goes — the more diverse, the better. Diversity is such an issue for the publishing industry right now. Wundor Editions wants to help in disrupting the industry’s homogeneity by seeking out distinctive, and often unduly marginalised, voices. With other publishers and agents gradually taking the same approach, I’m hopeful that the industry will become more inclusive, and be all the richer for it. I’m really inspired, for instance, by Dialogue Books, the new imprint led by Sharmaine Lovegrove, as well as by the ethos of The Good Literary Agency. You’re right that our fiction list is quite male-dominated at the moment, but male and female authors are equally represented in our poetry output, and the contributors to our most recent travel guide were mostly women. In putting together our overall profile, we’re looking to represent at least as many female writers as male. In terms of our authors’ nationalities, Wundor has a very international outlook. With ever-increasing globalisation, travelling across borders is now the standard for people, goods, and ideas. Wonderful stories and poems should be given the chance to do the same. We’ve got some exciting plans to publish works by writers and artists from a very unusual selection of countries over the coming year. That said, the British literary scene is so vibrant and it’s incredibly rewarding to foster the careers of emerging British writers. Submissions welcome!